DETROIT — The gap in safety between sport utility vehicles and passenger cars last year was the widest yet recorded, according to new federal traffic data. S.U.V. 's continue to gain in popularity, despite safety concerns and the vehicles' lagging fuel economy at a time when gasoline prices are high. For the first seven months of 2004, S.U.V. 's accounted for 27.2 percent of all light-duty vehicle sales, up from 26 percent in the period a year earlier, according to Ward's AutoInfoBank. 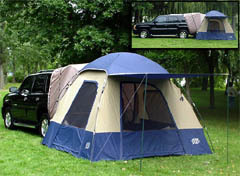 However, sales growth for the largest sport utility vehicles has stalled lately, while small and medium-size S.U.V. 's, engineered more like cars than pickup trucks, continue to make rapid gains. New figures from the National Highway Traffic Safety Administration shed light on how wide the differences in safety can be from one vehicle to another in the S.U.V. category, which now encompasses scores of models. For example, a few newer S.U.V. models appear to have a sharply lower risk of rolling over in an accident than other models. A reason for the safety gap in sport utility, foreground, and car fatalities, according to regulators, is that S.U.V. 's are more likely to roll over, a deadly event that is a symptom of their higher ground clearance. Over all, crash fatalities declined across the board in 2003 to the lowest levels in six years, the government figures show, with 42,643 people killed in traffic accidents in the United States. Much of the decline appeared to come from fewer people driving drunk and more people buckling up. But the United States has not made as much progress as some other developed nations, because rates of seat belt use remain lower here and because of the growing numbers of S.U.V. 's and pickup trucks, which tend to pose greater hazards than cars both to their occupants and to others on the road. Industry groups have insisted for years that S.U.V. 's are at least as safe as passenger cars, if not safer. One group run by industry lobbyists, called the Sport Utility Vehicle Owners of America, says on its Web site that it is a myth that S.U.V. 's guzzle gas or that their higher rollover rate makes them more dangerous for their occupants. Ron DeFore, a spokesman for the group, cited statistics from the insurance industry, which found last year that fatality rates for newer sport utility vehicles were markedly improved from older models. "Most people have gotten a skewed vision about the S.U.V. and think they're unsafe, and that's just not true," Mr. DeFore said. But the main reason for the safety gap in S.U.V. and car fatalities, according to federal regulators, is that S.U.V. 's are more likely to roll over, a particularly deadly accident event that is a symptom of their higher ground clearance. "It's largely a function of the rollover problem," said Rae Tyson, a spokesman for the traffic agency. "In certain types of crashes, you're more likely to be better off in an S.U.V., but that is offset by the fact the you're more likely to roll over." Joan Claybrook, president of the consumer advocacy group Public Citizen and a former top auto safety regulator, said, "There's no question that the rollover problem with S.U.V. 's really undermines their safety." The traffic safety agency reported last week that there were 16.42 deaths of S.U.V. occupants in accidents last year for every 100,000 registered S.U.V.'s. The figure for passenger cars was 14.85 deaths for each 100,000 registered; pickups were slightly higher than cars at 15.17 deaths per 100,000, while vans were lowest at 11.2 occupant deaths for every 100,000 registered. But not all S.U.V. 's are alike. New government data shows how much better some S.U.V. 's fare than others in tipping situations, the category's weak spot. This year, the government started conducting rollover tests on a test track rather than merely analyzing the vehicle's dimensions on paper to determine rollover risk, as it had done in the past. One-third of the 2004-model S.U.V. 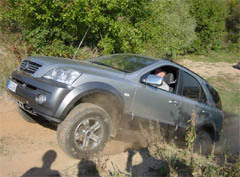 's that it tested tipped up on two wheels, halting the tests of those vehicles. One S.U.V. made by General Motors, the Saturn Vue, even had its suspension break on both the two- and four-wheel drive models, prompting G.M. to recall the vehicle. No passenger car tipped during the testing. 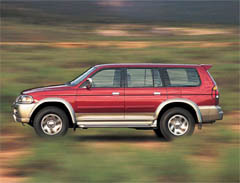 The traffic agency has also released new rankings of rollover risk for many 2004 models. It calculated that the Honda Pilot S.U.V. has only a 16 percent chance of rolling over during a single-vehicle crash, compared with a 26 percent chance for the Chevrolet Tahoe and for many versions of the Ford Explorer. The Chrysler Pacifica, an S.U.V. that somewhat resembles a station wagon, was found to have only a 13 to 14 percent risk, comparable to passenger cars, which ranged from an 8 percent risk for the Mazda RX-8 to 15.5 percent for the Subaru Outback wagon. Rollover risk, though, is only one part of the safety picture. In crashes between vehicles, heavier vehicles tend to perform better than lighter ones, which is one reason that the smallest cars tend to have the highest occupant-fatality rates. The ways that people who own different types of vehicles tend to drive them is also a factor, especially in the case of sports cars. But weight is not a simple proxy for safety. In a federal crash study this year, large passenger cars and station wagons, averaging about 3,600 pounds unloaded, were found to have a death rate of 3.3 for each billion miles traveled; they were second only to minivans, which had a rate of 2.76. Ranked third safest after the large-car category were the largest, tanklike sport utility vehicles, which weigh in at an average of 5,100 pounds unloaded; their death rate was 3.79 for every billion miles. Midsize cars, averaging just over 3,000 pounds unloaded, had a 5.26 fatality rate; midsize S.U.V. 's, by far the most popular type, with an average weight over 4,000 pounds, had a death rate of 6.73 in the study. Even within categories, there was considerable variation in performance from model to model. 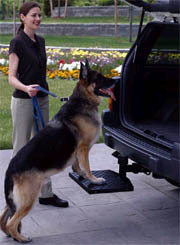 Detailed results for federal front- and side-impact tests and rollover tests can be found online at www.safercar.gov. Complicating the safety question is what happens to people in the other vehicle in a collision. 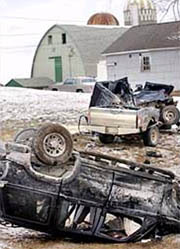 Because of the higher ground clearance of sport utilities and large pickup trucks, their bumpers often skip over the crash structures of passenger cars, raising the likelihood that an occupant of the car will be killed or seriously injured. Automakers have agreed to work together on structural changes, and the traffic safety agency has proposed new rules that would require automakers to install side air bags as a way to mitigate the problem.